This football cake is so easy to make. Give it a try yourself to surpise a football fan or to celebrate game day. Frost the top of the bottom cake and stack the top cake on top of the bottom cake. Frost with a crumb coat over all and then cut the cake into a football shape. Carve small slivers of cake off at an angle from about the middle of cake to the bottom until the football looks as it should. Frost the whole cake in chocolate buttercream and smooth with a Viva paper towel. Add the white stripes and lacing. 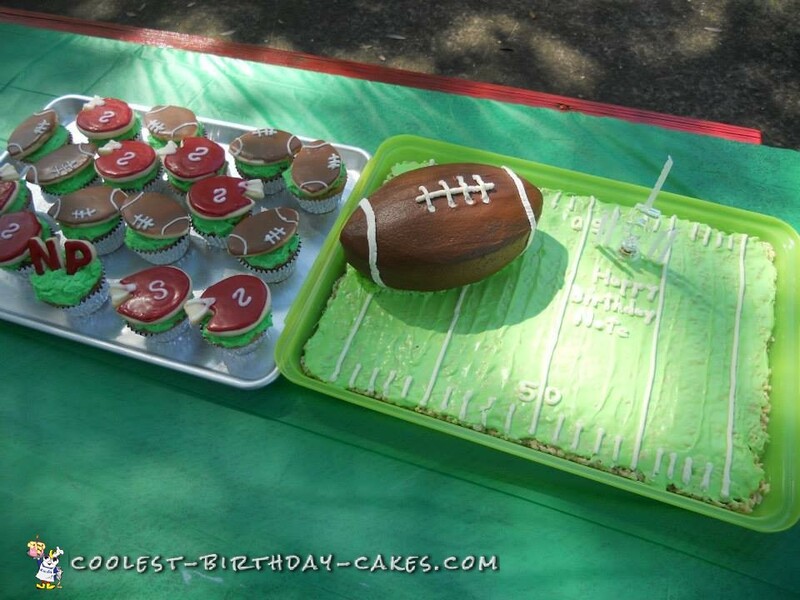 For an extra touch, make an edible football field and set your football cake on top.